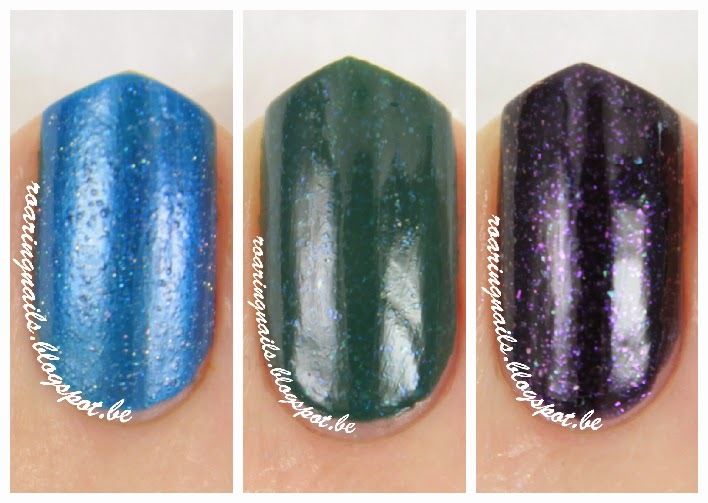 I have three pretty polishes for you today! As you read in my haul post recently, I got these as a gift from the lovely Miriam over at Nail Talk - she does the most amazing designs ever and you MUST go check out her blog right now. She writes in Dutch but there's plenty of pretty pictures to look at and well, her designs do most of the talking anyway. 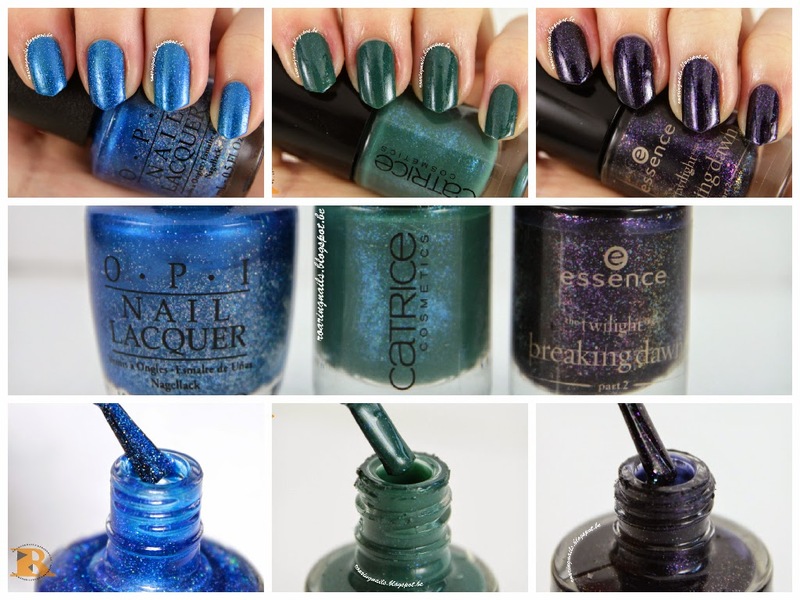 Because I had two Pretty & Polished Tomboyish'es and because she loved that polish a lot (Miriam liiiiiikes green), I decided to send her one of them since I would never use all two bottles. 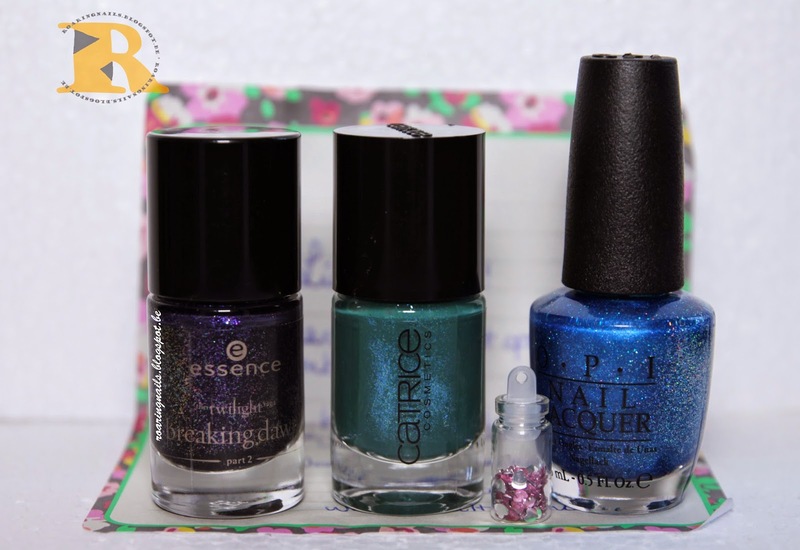 To thank me, she sent me three beauties back: Essence Alice Had a Vision - Again, Catrice Petrolpolitan, and OPI Blue Chips. So, let's get started with the swatches! First up, OPI's Blue Chips. I used two thin coats without top coat here. Miriam sent me this as a surprise polish: she didn't tell me what it was when she sent it - only that she thought I would really love it. And she was right! 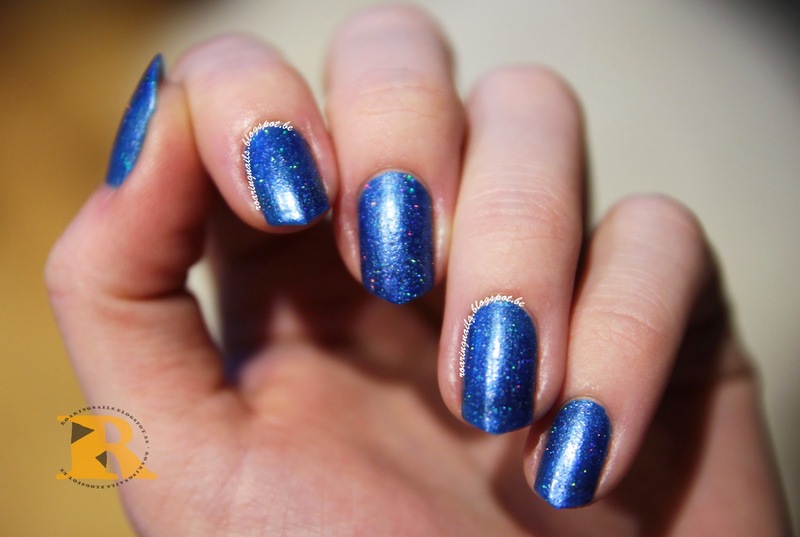 Blue Chips is a pretty bright blue polish with holographical sparkles. 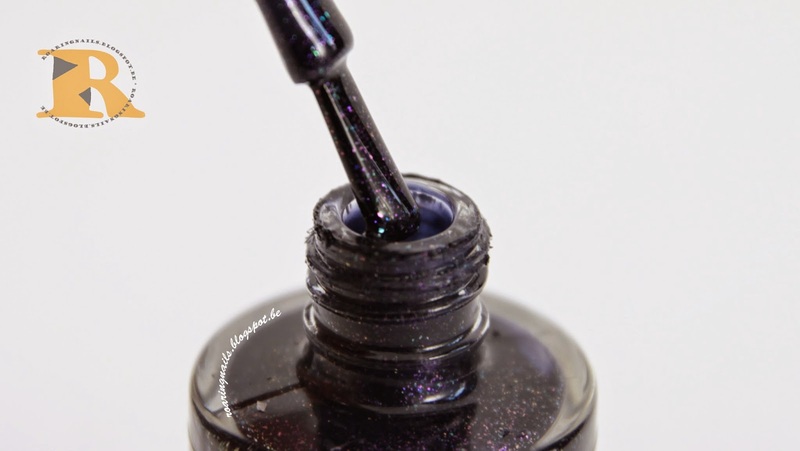 It dries semi-matte and with a slightly gritty texture, but it's not a true sand texture polish like for example OPI's Magazine Cover Mouse or DS Lapis. Blue Chips is less gritty than those. Pretty polish brush shot! 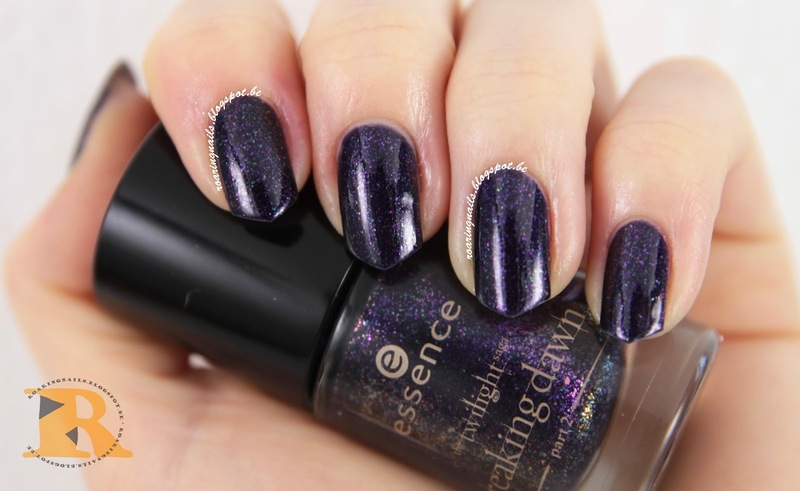 Look at that sparkle!! 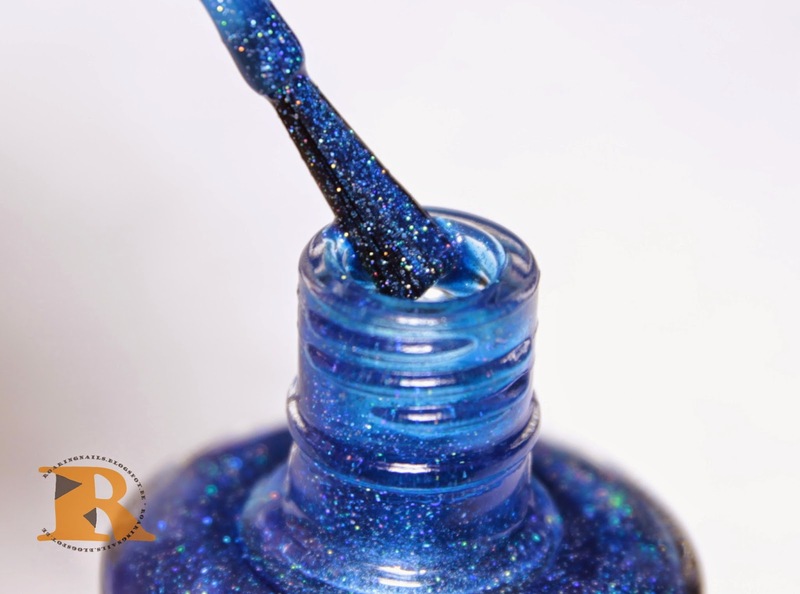 I also decided to see how Blue Chips would look with top coat, but that didn't change all that much. The grittyness dissapeared to the touch, but the polish still looks a bit gritty. 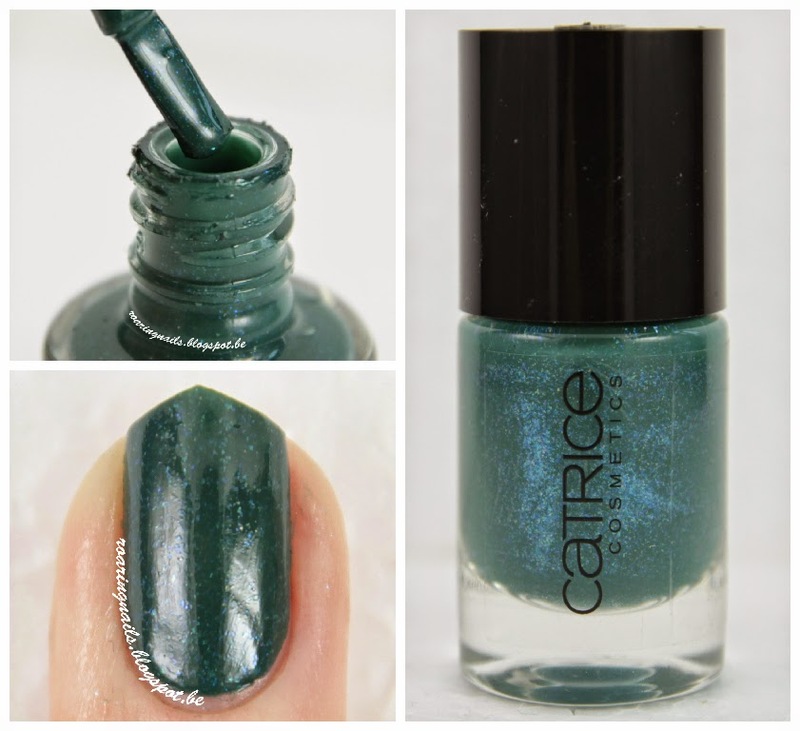 This Catrice polish is a dark green crème with strong blue shimmer - looooving that shimmer! 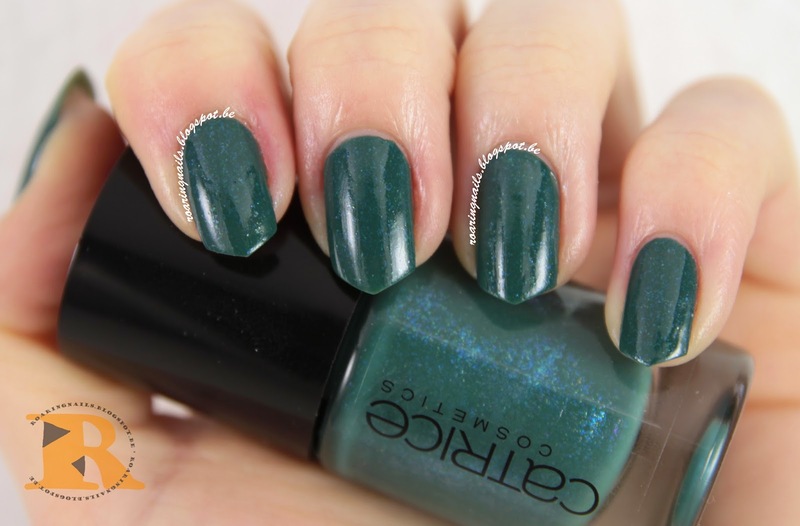 Normally I'm not so into green but I really love this dark forest colour, and well obviously blue shimmer makes everything even better! I used two easy coats here and my Sinful Colors Top Shine. The blue shimmer is very apparent in real life but I wasn't entirely able to capture it on camera. You can see it most clearly inside the polish bottle and in the close-up in the collage above. Haha you're right,only pretties here! :D I'm glad you like them too! Wat een super lieve review!! En zo blij dat jij er blij mee bent. Ze staan je allen prachtig! Ik ben er heeeel blij mee! :D Nogmaals ENORM bedankt Miriam! Good luck, I hope you find it somewhere - maybe in a blog sale? :) Thanks Andrea! I didn't now it had another name at some point - you are like a polish dictionary Karen, you know so much about every collection! Thanks! It iiiisss :D Thank you!